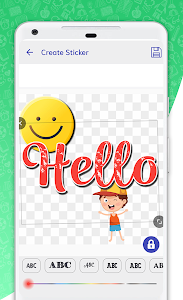 #NO 1 Stickers for whatsapp app with lots of stickers editing features. 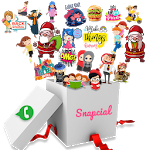 We have the best collection of wastickerapps compatible whatsapp stickers for you guys. 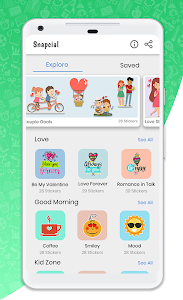 We have almost all categories of stickers with 180+ stickers packs in more than 11+ languages and all stickers are wastickerapps compatible which you can share on whatsapp easily. Happy Holi Stickers download holi stickers and share holi stickers with your friends and enjoy. 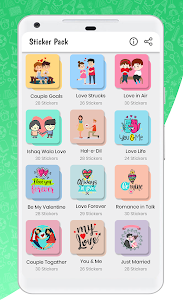 We have 1000+ Love Stickers, Valentine Stickers for lovers which you can share and impress your Girlfriend and Boyfriend.Love Stickers For Whatsapp with wastickersapps compatible stickers. With this app you can create your own custom Stickers with Background Eraser within the app. You can make Wastickerapps supported stickers, wastickerapps text stickers, wastickerapps cartoon stickers etc with this stickers editor within the app. 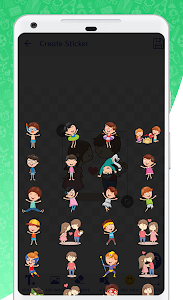 * More Than 5000+ Stickers for whatsapp. 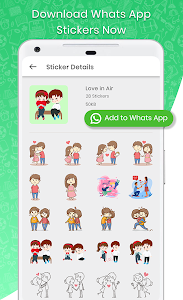 * 180+ Categories Of Stickers for whatsapp. 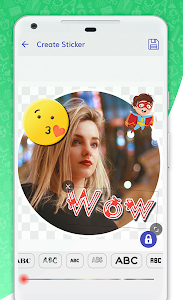 * Create Personal Stickers for whatsapp. * Share your personal stickers with WAStickerApps. * Background Eraser in WAStickerApps. * Text to Stickers for Whatsapp. 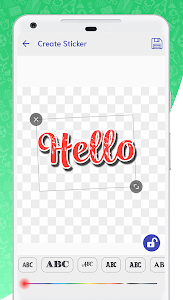 * Photo Editor Stickers for Whatsapp. 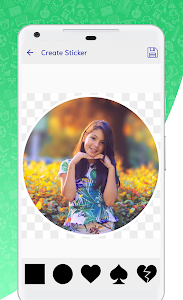 * Convert Image into stickers with lots of editing tools. There are stickers in different Languages like Spanish, Portuguese, Hindi, English, Gujarati, Telugu/ Tamil Stickers, Marathi, Kannada and we are adding different languages stickers for whatsapp every day. * After when stickers added to whatsapp successfully then go to Whatsapp press on emoji icon at bottom. * There you will see 3 options at bottom, there press on 3rd option which is of stickers there you will see all the stickers you added from our app. We have 180+ Sticker Packs and we are adding new stickers daily so be updated with us for new stickers daily. If you like our app then please provide your valuable feedback for our app and give us High Five. We always welcome your suggestions please provide your suggestions at [email protected] we will reply you at earliest. Similar to "STICKERS FOR WHATSAPP - WAStickerApps"